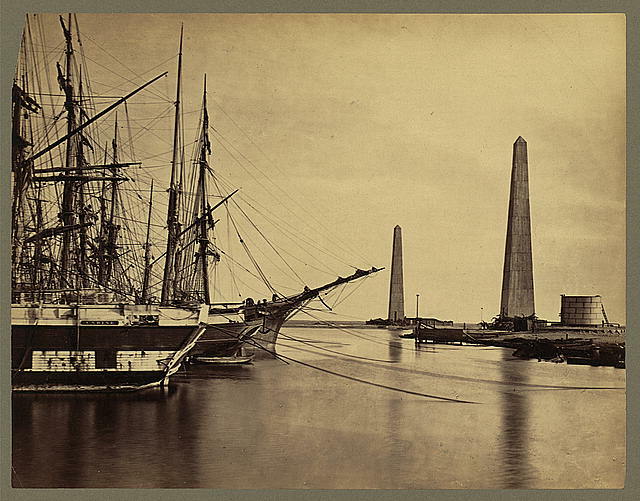 Entrance to Port Said on the Suez Canal circa 1856, from Library of Congress, at loc.gov. The Middle East is one of the most important regions in the world. Land of the ancient pyramids, home of the mighty Nile, Egypt’s Suez Canal transformed shipping as far away as Singapore. Egypt is critical to the future of the region and the world, and so is the Suez Canal. PHARAOH’S DREAM OR CALIPH’S NIGHTMARE? The waterway, perhaps initiated by the legendary Pharaoh Sesostris, was navigated by Egyptians during Seti I in 1380 B.C. The ancient channel – still visible in areas near Wadi Tumilat and actually used by constructors of the Suez Canal – did not connect all the way to the Red Sea; at the time of Darius, 520 B.C., ships entering from the Mediterranean traversed the Pelusiac section of the Nile to Bubastis, where they continued to Heropolis. But there was a break at that point; all cargo had to be reloaded onto ships on the Red Sea. It was good business for transfer specialists but not for shippers. In 385 B.C., Ptolemy Philadelphus finally connected the canal to the Red Sea, building a new town called Arsinoe at the juncture. But the waterway proved only too strategic and was ordered closed in 770 A.D. by the Caliph al-Mansur, founder of Baghdad, to cut off the supply route being used by his enemies. Ferdinand de Lesseps, from bbc.co.uk. If war closed the earlier canal, diplomacy and friendship eventually opened it to the world. It’s the story of two boys who played together. One, Ferdinand de Lesseps, was the son of a French diplomat; the other, scion of the Pasha of Egypt. The children often breakfasted together because the Pasha’s son very much liked the cereal served at the French household. The boys were fast friends and continued to keep in touch as they grew. What was more natural than for two old friends to go on a weekend trip to the countryside? To entertain his visiting boyhood playmate, the Pasha, now Khedive and Viceroy of Egypt, gathered a group of friends to form an expedition. The hunting party pitched tents the first night by a high wall to protect themselves from strong winds. Perhaps campfire conversations turned to boyish boasting and dares. At some point in the encampment, Ferdinand de Lesseps jumped his horse over the wall. No one else in the Pasha’s retinue dared attempt such a feat. Pasha Al-Said was so pleased that he offered Ferdinand a boon, anything in his power to grant. The request? Permission to build the Suez Canal. Ferdinand de Lesseps raised funds everywhere he could. He even sought money directly from the French people, bypassing and refusing the offer of Rothschild, the head of an investment banking establishment, who charged what de Lesseps felt was too great an interest charge. Instead, Ferdinand used persuasion and attraction to open shares in the Suez Canal to ordinary citizens. When the first public offering opened on November 5, 1858, more than 400,000 shares were sold at 500 francs per share. Funds continued to be an issue even in 1952. 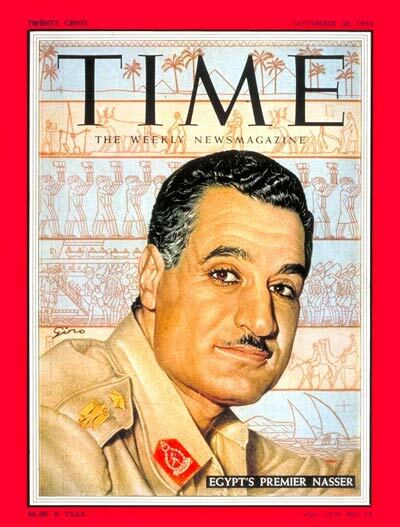 At that time, it was Egyptian President Nasser who looked for funds for improvement of the canal. He approached the United Nations, the World Bank, and several nations. But money was tight. So, Nasser extended his outreach and cut arms deals with some countries including then-communist Czechoslovakia. The U. S. Department of State withdrew American funds. Nasser retaliated by nationalizing the canal on July 26, 1959. Through the negotiating efforts of Jean-Paul Calon, general counsel of the Suez Canal Company, the World Bank compensated owners. Initially established as a privately-owned enterprise, with executive offices located in Paris, the Suez Canal offered a new formula for infrastructure development. A similar financing approach was taken by the Channel Tunnel many years later. Labor demands, and dangers, had been a challenge since ancient days. Classic historian Herodotus notes that over 100,000 people died in an effort to build an version of the canal in 609 B.C. Employment in 1856 A.D. was also difficult. The contract stipulated that 4/5ths of the jobs had to go to Egyptians. Turks were the next-most represented. France also sent workers. It must be admitted that forced labor was involved in ancient versions of the waterway but when Pasha al-Said succeeded to the throne in 1863, he declared forced labor to be against the values of the country. It is to be noted that when forced labor is the source, the oldest and most primitive methods of construction are often remain the means. But when labor is in short supply, innovations occur. Such was the case with the Suez Canal. As soon as workers became scarce after forced labor was abolished, innovative new engineering methods and machinery were developed, accelerating progress, and safety, of construction. Much of the dredging equipment was developed in France, and the contract provided that needed equipment would be imported free of tax. The opening of the Canal, November 1868, was celebrated by Egypt as a cultural as well as economic event. The Khedive built a new opera house in Cairo for the occasion and commissioned Guiseppe Verdi to write a new opera with an Egyptian theme. Verdi’s collaborator on Don Carlos came to the composer with a scenario sketched by a French Egyptologist, Auguste Mariette. The story would become the opera, Aida. Verdi’s wife, Guiseppina, helped write the romance of the plot. Libretto was by Antonio Ghislanzoni. Ironically, the great new opera did not premier in Cairo as planned. Scenery and costumes designed and crafted in Paris could not be shipped two months before the January 1871 planned debut. The reason? The Franco-Prussian War. When Aida was finally performed in Cairo on December 24, 1872, rave reviews and the honor of the Commendatore of the Ottoman Order were given to Verdi. The opera has since become a classic, even leading to a version written by Sir Elton John. Perhaps because it was a result of a trusted friendship, the firman or contract for the Suez Canal mandated the waterway be open on equal terms to ships of all nations. The principle of open access was legalized by the International Convention of Constantinople of 1888 but not signed by Britain until 1904. On several occasions, however, the canal was partially or fully blocked for military or political reasons. Granted by the Khedive Mohammed Pasha al-Said to Ferdinand de Lesseps. Our friend Mons. Ferdinand de Lesseps, having called our attention to the advantages which would result to Egypt from the function of the Mediterranean and the Red Seas, by a navigable passage for large vessels, and having given us to understand the possibility of forming a company for this purpose composed of capitalists of all nations; we have accepted the arrangements which he has submitted to us, and by these presents grant him exclusive power for the establishment and direction of a Universal Company, for cutting through the Isthmus of Suez, with authority to undertake or cause to be undertaken all the necessary works and erections, on condition that the Company shall previously indemnify all private persons in case of dispossession for the public benefit…the term of the grant is ninety-nine years, commencing from the day of the opening of the Canal of the two Seas…all necessary land not belonging to private persons shall be granted to it free of cost…The tariffs of dues for the passage shall be always equal for all nations…the Grand Maritime Canal from Suez to Pelusium and the ports appertaining thereto, shall always remain open without any distinction, exclusion, or preference of persons or nationalities. – From Hugh J. Schonfield, The Suez Canal in Peace and War: 1869-1969. Coral Gables, FL: University of Miami Press, 1969. Pp. 174-44. See also Davidson and Lusk Brooke, Building the World (2006), Vol. I, pp. 196-204. Infrastructure and Peace: The Suez Canal was born of a friendship, envisioned by a diplomat, chartered by a group, and mandated forever open to all nations on equal basis. How does Suez compare to other key access routes around the world? Legal systems are often clogged in lengthy appeals. How does the appeals process slow down dispute resolution? In the United States? In multi-country endeavors? Adams, Michael. Suez and After: Year of Crisis. Boston: Beacon Press, 1958. Baker, A.J. Suez: The Seven Day War. New York: Praeger, 1965. Banaja, A.A. Red Sea, Gulf of Aden and Suez Canal: A Bibliography on Oceanographic and Marine Environmental Research. Edited by Selim A. Morcos and Allen Varley. Compiled by A.A. Banaja, A.L. Beltagy, and M. A. Zahran, with scientific contributions by M. Kh. Ed-Sayed. Jeddah, Saudi Arabia, and Paris: Alexco-Persga and UNESCO, 1990. Beaufre, Andre. The Suez Expedition. 1956. Reprint, New York: Praeger, 1969. Bowie, Robert Richardson. Suez. 1956. Reprint, London and New York: Oxford University Press, 1974. De Lesseps, Ferdinand. Recollections of Forty Years. Translated by C.B. Pitman. 2 vols. London: Chapman and Hall, 1974. Encyclopedia Brittanica. Chicago, University of Chicago Press, 1948. See article on “Beaconsfield, Benjamin Disraeli, Earl of (1804-1881),” p. 246. Karabell, Zachary. Parting the Desert: The Creation of the Suez Canal. New York: Vantage, 2004. Kunz, Diane B. The Economic Diplomacy of the Suez Crisis. Chapel Hill: University of North Carolina Press, 1991. Lloyd, Selwyn, Lord. Suez 1956: A Personal Account. New York: Mayflower Books, 1978. Mutting, Anthony. No End of a Lesson: The Story of the Suez. New York: C.N. Potter, 1967. Robertson, Terence. Crisis: The Inside Story of the Suez Conspiracy. New York: Atheneum, 1965. Schonfield, Hugh Joseph. The Suez Canal in Peace and War, 1869-1969. Coral Gables, FL: University of Miami Press, 1969. Tesson, Thierry. Ferdinand de Lesseps. Paris: J.-C. Lattes, 1992. For the Aida’s commission and creation, see: http://www.r-ds.com/opera/verdiana. aida.htm. For Benjamin Disraeli’s speech on the acquisition of the Suez Canal shares, Feb. 21, 1876, see: http://www.historyhome.co.uk. How does Suez compare to Erie? For the United States National Canal Museum, see: http://www.canals.org. For the Collaborative Institute for Oceans, Climate, and Security (CIOCS,) see: www.umb.edu/ciocs.